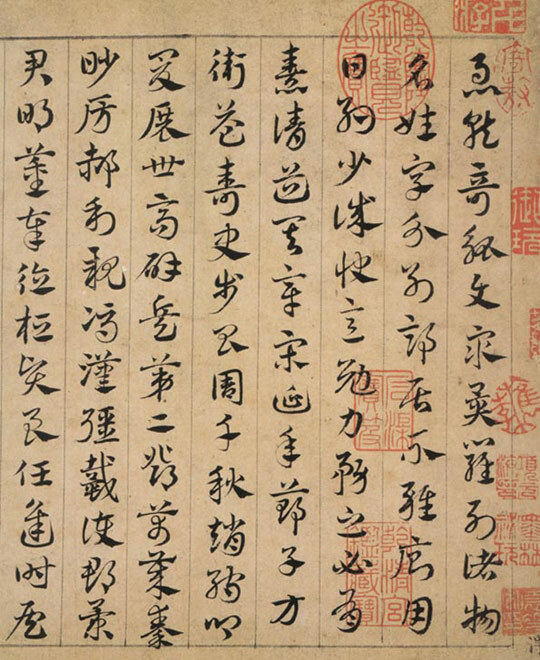 East asian calligraphic tradition originated in China and then spread across whole Asia – Japan, Korea and Vietnam. 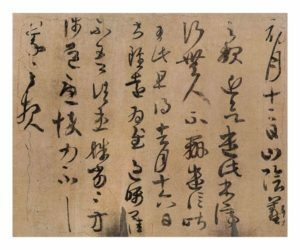 Calligraphy has also influenced development of other arts in China, including ink and wash painting, seal carving, ink stones and many more. 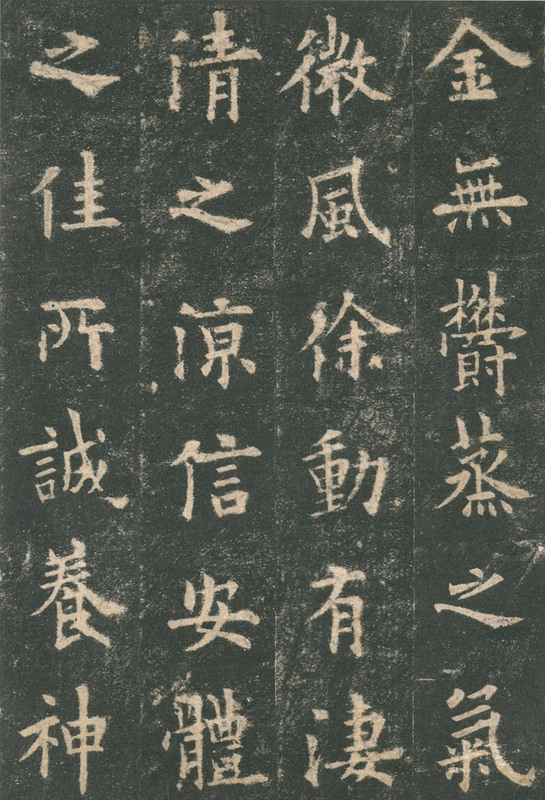 Calligrpahy called Shūfǎ (書法) in China, literally meaning “way of writing” and also considered an art – 艺术 (yishu) when piece is also appreciated for aesthetic qualities. 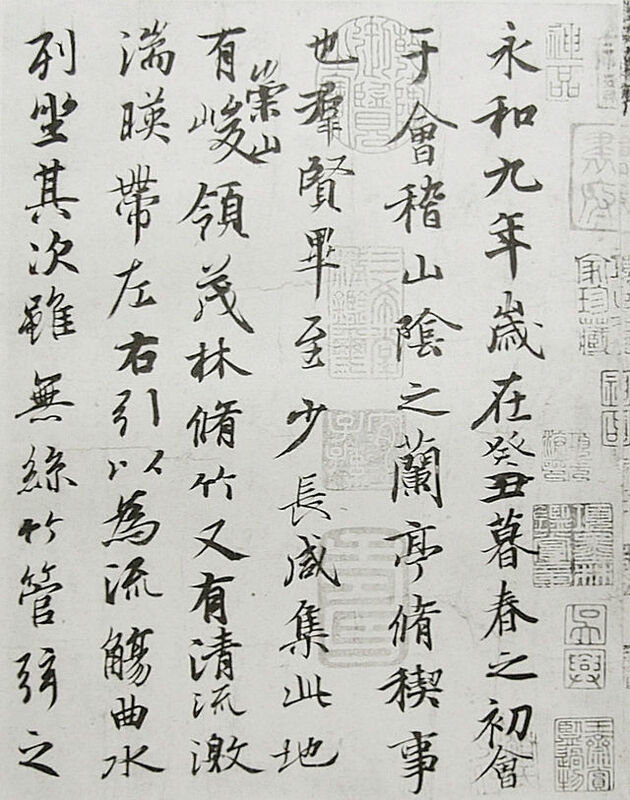 Five major styles of Chinese calligraphy is: Seal Script, Clerical Script, Standard Script, Cursive and Semi-Cursive Scripts. 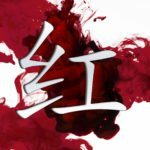 This post is first of the series, about history and development of different styles and forms of Chinese calligraphy. 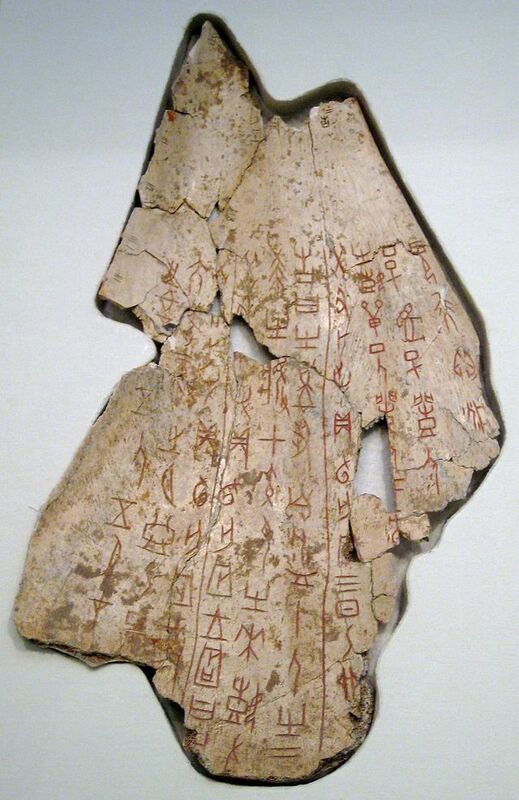 First examples of characters with similar writing principles to contemporary ones appeared about four thousand years ago, when symbols engraved onto animal bones and tortoise shells were used during divination ceremonies. 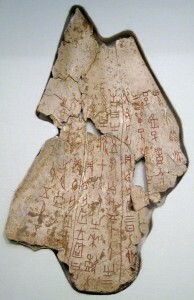 Artefacts discovered during excavations dating back to the Shang-Yin dynasty (1550-1030BC) are referred as “Jia Gu Wen” – Bone and Shell writing. Some engravings were found to have brush marks which could have been the written symbols before carving. 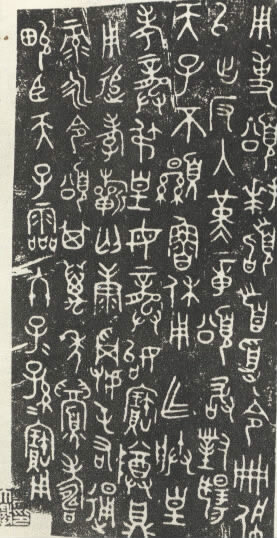 Bronze ware inscriptions – “JinwenShisongding”. The inscriptions on bronze vessels were a development from bone and shell writing. Among these were the Zhong (Bell) and Ding (cooking pot), on which marks were carved or cast. Inscriptions made on other materials, including leather or bamboo did not survive with time. 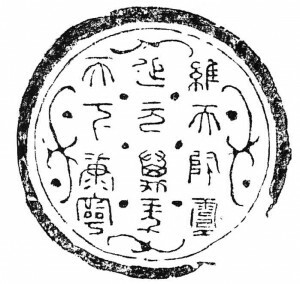 The “zhong ding wen” inscriptions, in form of “Dai Zhuan” (Great Seal Script), have become the sole source for the study of the Zhou dynasty (1030 BC). 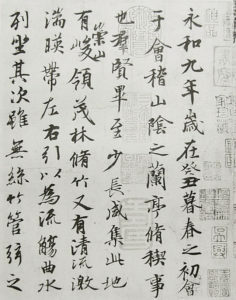 First time in history calligraphy became systemised practice with clear principles, such as composition techniques, still in use today. 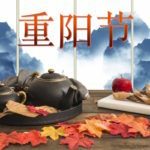 Carved inscriptions in the form of Dai Zhuan (Great Seal Script) on drum shaped stones gave an important insight into the “Spring and Autumn period” (722-481 BC), a time then hundreds of scholars voice their ideas and philosophy. The most influential ones were Confucius and Lao Zi (founder of Taoism). 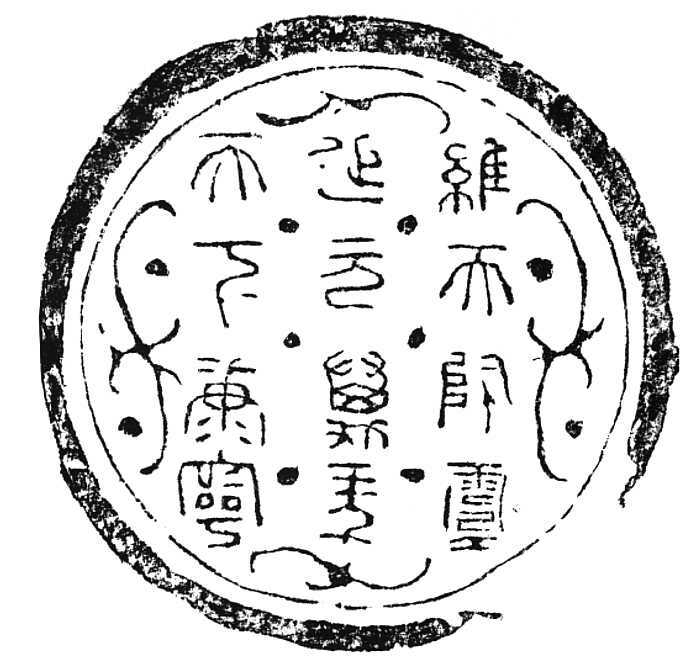 Small Seal Calligraphy Style. Public Domain. 221 BC saw the unification of all China under reign of the emperor of Qin (221-207 BC). 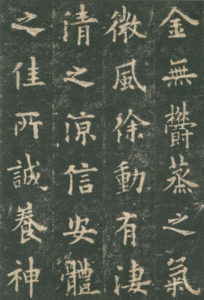 The prime minister Li Si is created Xiao Zhuan (Small Seal Script) and unified the various forms of characters from the Warring States period (480-222 BC). All Small Zhuan characters are similar in size, strokes are a constant thickness. 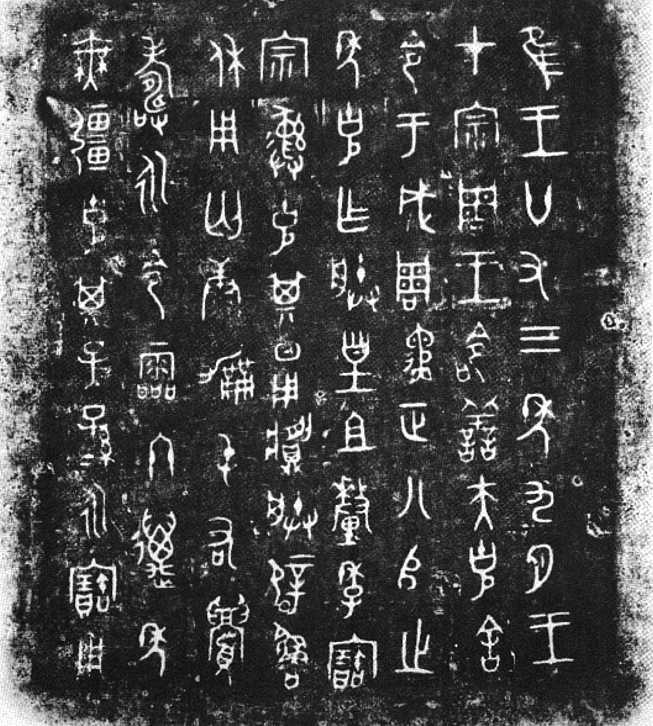 This style is still used today for seal carving and sometimes referred as a Seal Script. 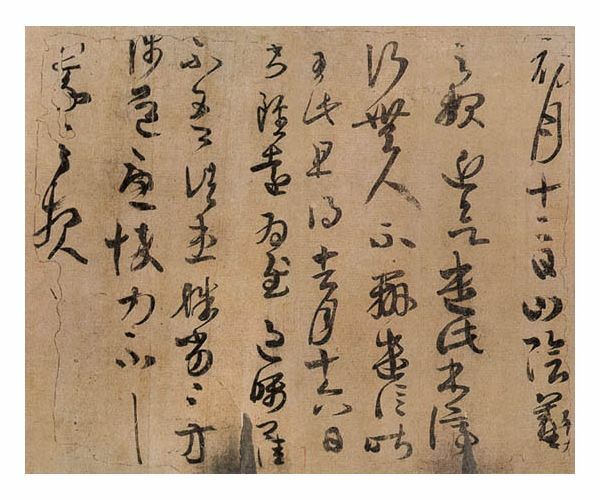 This was an important step toward the formation of calligraphy. 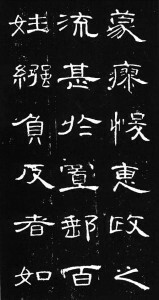 Clerical LiShu Calligraphy Style. Public Domain. A Qin prison officer Cheng Miao, who spent time in jail because of offence, created another form of characters. 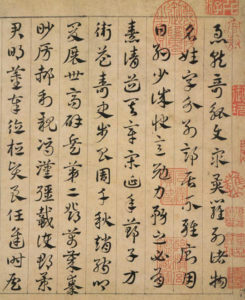 With the aim to reduce time spent recording court procedures, Li Shu (Clerical Script) was devised to have fewer strokes and has straight lines rather than the rounded shapes of the previous form. It was bold step toward opening up other styles in calligraphy. 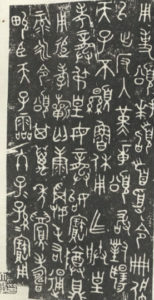 Shi You, a scholar in West Han (202 BC – 9 AD), derived from Li Shu Clerical Script a cursive style of characters. It’s linked-up strokes producing an artistic flowing expression. 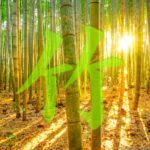 The first form of Kai Shu was found written on bamboo sticks dating back to the Wei period (220-265 AD). 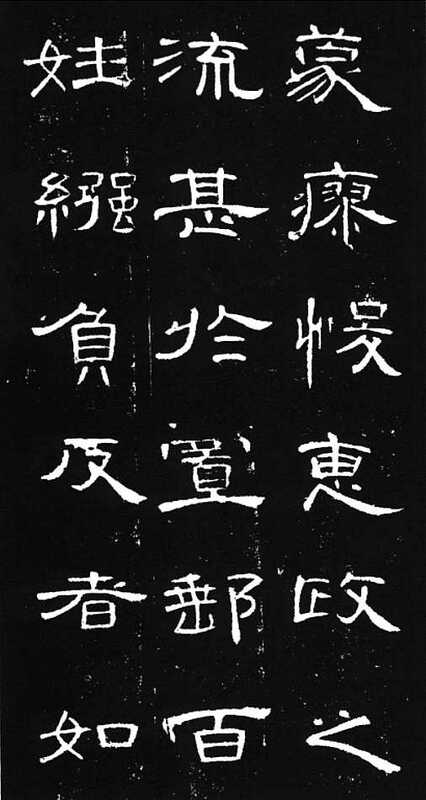 While Regular Script was derived from Clerical Script (Li Shu) the technique of using brush is very different. 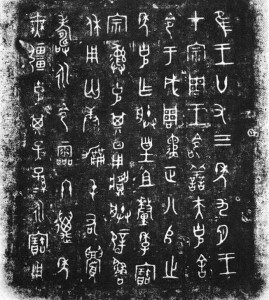 Xing Shu or Semi-Cursive Script emerged around AD 220. 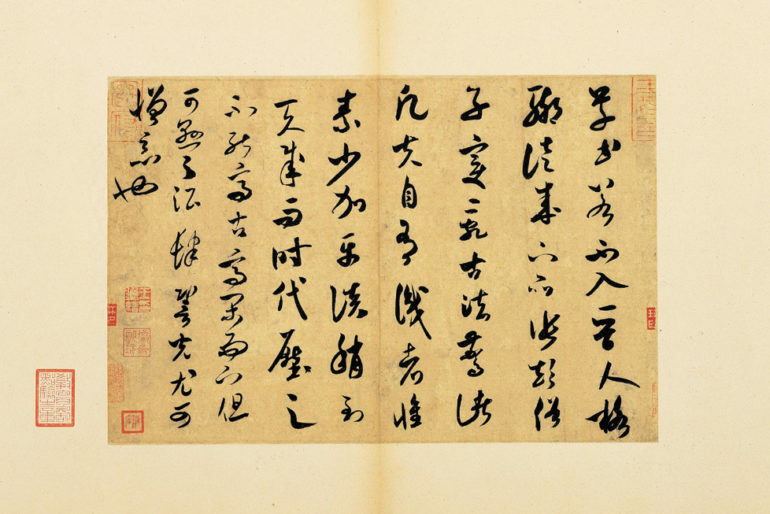 Being somewhere in between of Regular Script (Kai Shu) and Cursive Script (Jin Cao or Cao Shu), it is not as formal as Regular Script and less flowing than Cursive Script. This is the most popular style, used by many brilliant calligraphy practitioners, the most famous one was Huang Xi Zhi (AD 317), who was regarded as the one of the most talented calligraphers through history of Chinese calligraphy. Note: Please turn-off your ad-blocking software, to see links above.